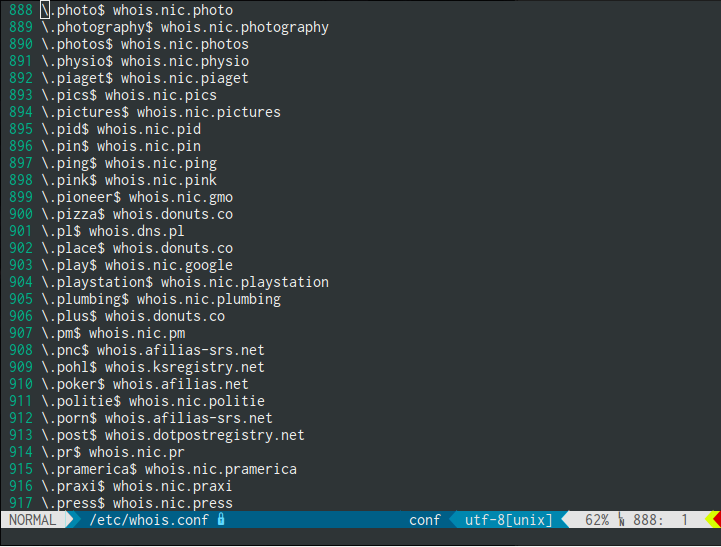 With the huge amount of new TLDs being released over the past few years, the built-in whois client in Linux can't seem to keep its builtin WHOIS server database up-to-date. Here, we'll look at an easy way to determine the registry's WHOIS server, and query it from the shell. Then generate our own whois.conf file to make future lookups seamless. This is because the GNU whois program on most Linux distros comes with the WHOIS server list compiled into the binary. The good news is that you can create a /etc/whois.conf file, which contains a list of regular expressions that correspond to WHOIS servers. However, if you don't want to muck around with this, we can use the whois-servers.net DNS entries to determine the correct WHOIS server. Sponsoring Registrar:                        BR domain Inc.
For a more elegant solution, you can add the entries for each of the new TLD WHOIS servers to the /etc/whois.conf file. By default, this file doesn't exist, so you'll probably have to create it. To automate this process, I wrote a simple PHP script which fetches the official list from IANA to enumerate all (public) TLDs, then iterates through the list to determine WHOIS server information from whois-servers.net and whois.iana.org for each of the TLDs. It then uses this information to generate a shiny new whois.conf file and a JSON file that can be used for other purposes. An excerpt from an example whois.conf file showing the regular expression to match a domain on the left, and the WHOIS server where the lookup should be routed on the right side. 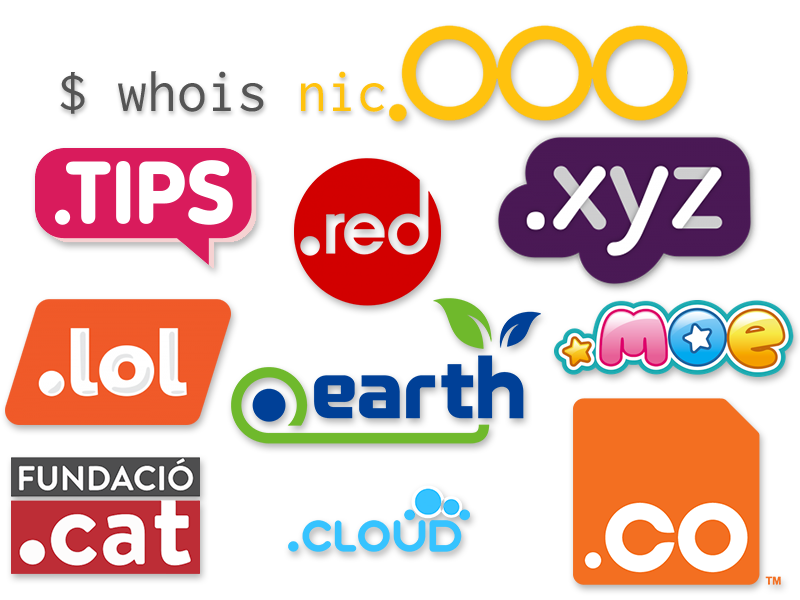 To get started looking up new gTLD domains, you can go ahead and grab the updated config that I've generated above and copy it to /etc/whois.conf. You can also check out the IANA Root Zone Database, if you're still curious about TLDs, or the IANA Official list of TLDs.